Superheroes they are super strong, super secretive and above all will protect all those who need help. 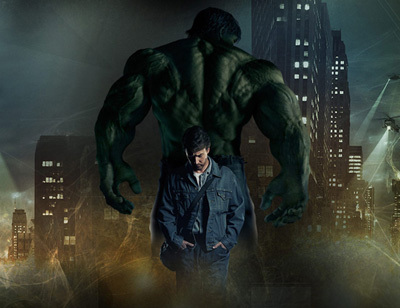 Out of all the amazing superheroes my favourite would have to the hulk from marvel comics. The hulk is an unstoppable large green humanoid that possesses limitless superhuman strength and great invulnerability. All these abilities grow as the hulk becomes more angry. The hulk has two different forms. The hulk’s original form is human. As a human he is called Bruce Banner and is a well known physicist who gets involved in a serious radioactive accident. His body is then infused with gamma radiation transforming him into the hulk. Whenever Banner becomes under emotional stress (e.g anger) he transforms into the unstoppable hulk which is also the source of the hulks power. When the hulk first came into the world he was a bad guy. He was hunted and almost killed but he was able to control his anger and became a hero. He also joins and becomes a major hero in the amazing team the avengers. The hulk has many enemies but his toughest and major archenemy is abomination. Abomination also possesses the same abilities as the hulk after he is injected with the hulks blood. Haha this was actually pretty cool. You managed to write it all out well, and this made me like the Hulk even more. You conveyed your opinion well, and described Hulk in the best way possible. Keep up the good work. A great first post. The repetition in your opening sentence was effective in engaging the reader, and you continued with an informal and personal tone throughout. Please remember to use capital letters for proper nouns – Hulk, Marvel Comics, Abomination. When referring to a person, use “who” rather than “that” – “who possesses”. Please proofread and insert commas throughout where you need pauses, and ensure you use the apostrophe of possession at all times – “Hulk’s power”. Arch enemy should be two words. To reiterate, this is an engaging post – next time a good proofread will eliminate a lot of these errors. Hulk for life. Nice blog and actually quite large compared to my classmates good job.